With clear blue waters in abundance, an endless summer vibe and natural beauty to fill your senses, the perfect sun-filled holiday starts here. If the allure of an endless summer makes your soul sing, it might just be the time to pack your bags and head off to Queensland’s stunning Sunshine Coast. Flying direct from Sydney, Melbourne or Adelaide means that in just a couple of hours you’ll be relaxing with your toes in the sand, a cocktail in your hand or the fresh scent of the rainforest surrounding you. 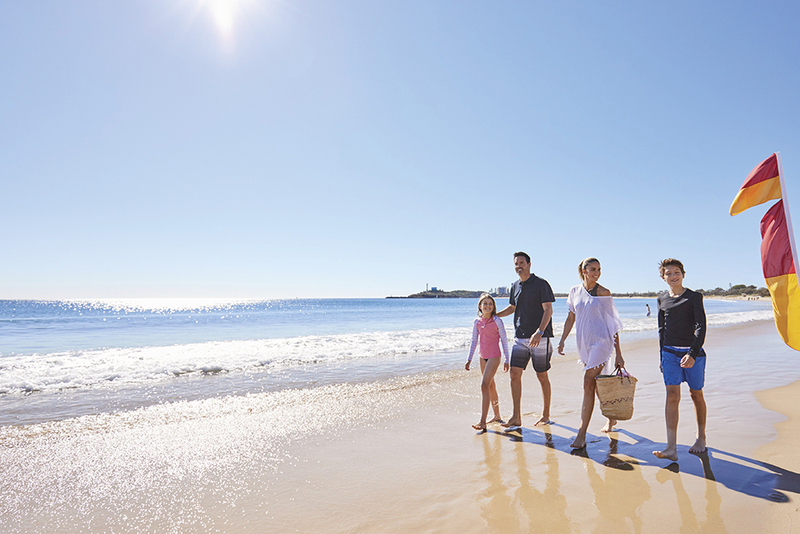 Unwinding on the Sunshine Coast is an essential part of your holiday experience. From the iconic Glass House Mountains, peaceful Caloundra and Kawana’s sweeping views, to Mooloolaba’s famous beach, laid-back Alexandra Headland and Cotton Tree, the stunning Hinterland to collective Eumundi, soothing Coolum Beach and divine Noosa, plus the pristine lakes and picturesque coastline thrown in, the Sunshine Coast really has it all. The Sunshine Coast boasts an abundance of natural beauty from the coast to the hinterland that will guarantee to take your breath away. The coast offers a unique blend of relaxed beach lifestyle and hinterland charm; pristine beaches sit alongside tropical rainforest and majestic mountains, interspersed with villages steeped in history. 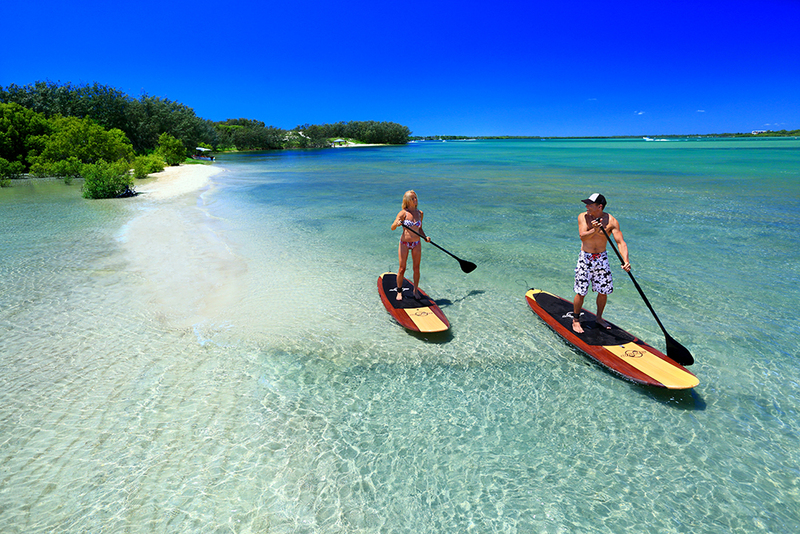 Immerse yourself in the local vibe by sampling some local brews or a wine or two; shop till you drop; pamper yourself with an indulgent spa treatment; paddle the Pumicestone Passage; discover a beautiful waterfall on one of the many walking trails; climb a mountain and take in spectacular views; try your hand at horse riding on the beach; kayak the Noosa Everglades; cruise down the Maroochy River; or devour some tasty local produce. 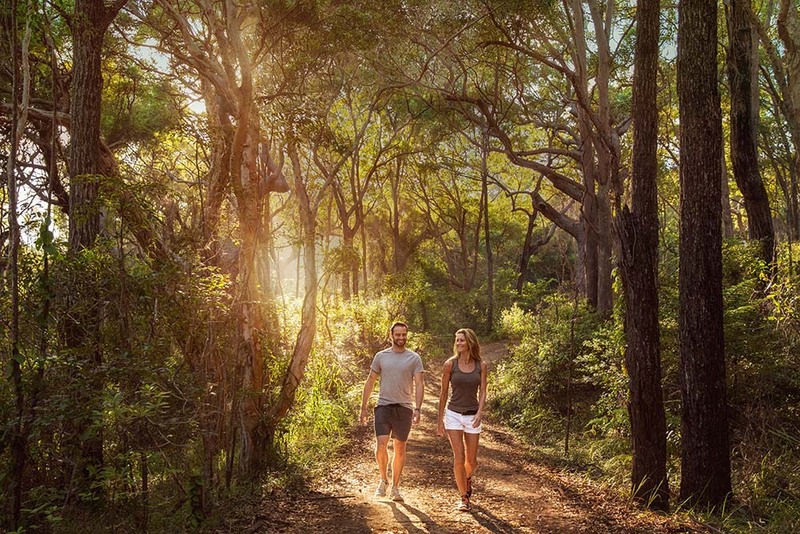 Explore the Sunshine Coast by taking in the views from the majestic Glass House Mountains on the hinterland drive or discover the coast on a coastal drive from Caloundra to Noosa. Or if you are keen to escape the bitumen 4WD the Great Beach drive from Noosa to Rainbow Beach taking in the most stunning coastline of the remarkable coloured sands and Carlo Sand Blow. Of course, any length of time spent on the Sunshine Coast is going to result in lots of time clocked up in the water, not only because it has an irresistible lure, but also because so many of the activities on offer in these parts take place in, on or next to it. From a simple dip in the clear, clean water to sailing, surfing, kayaking, jet skiing, water skiing, jet boating, paddle-boarding or kite boarding; the term ‘aquatic playground’ isn’t an overstatement. And once you’ve dried off, there are plenty of diversions back on terra firma. The area has a thriving art community, with art trails allowing you to meet local artists and take home some of their creative works. Innovative food is also a big focus with top quality gourmet restaurants, and charming hinterland towns and markets offering a bounty of paddock-to-plate local produce. So, what are you waiting for? 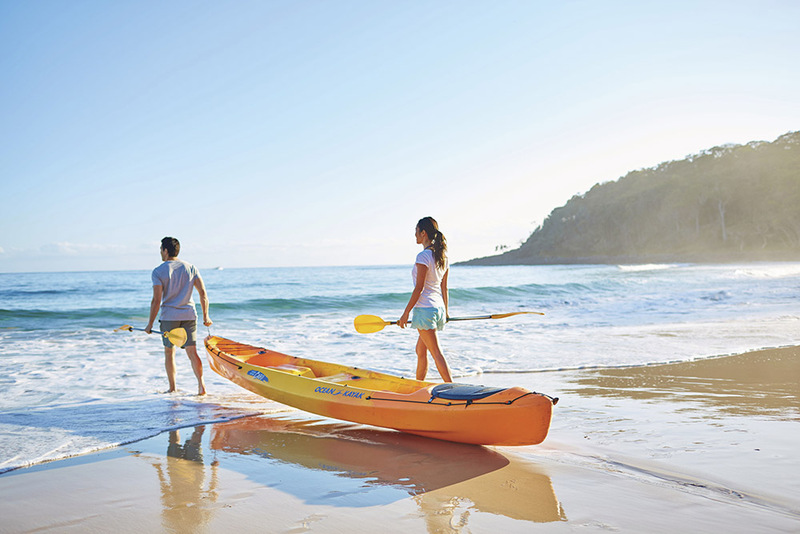 Book your Sunshine Coast flights direct with Jetstar, Virgin Australia or Qantas.